Years of experience and number of successful surgeries: More than 15 years of experience and over 10,000 surgeries. Dr Mohammad Reza Tarahomi set foot in the world of medicine in 1993 by entering university to study general medicine. He was one of the most studious students among his peers, ranking first in the Basic Sciences and pre-internship exams. His unbridled passion for medical sciences led Dr Tarahomi to continue his education beyond general medicine and seek greater achievements in the field. As a result, he soon ranked first in the entrance exam of the Plastic and Cosmetic Surgery Residency Program and entered Shahid Beheshti University of Medical Sciences to follow his dream of becoming a great plastic surgeon. After graduation, Dr Tarahomi took part in the national plastic & cosmetic surgery board certification exam and once again ranked first, becoming a board-certified plastic surgeon. He also became a member of the Iranian Society for Plastic and Aesthetic Surgeons. Having performed over 10,000 plastic and reconstructive surgeries so far, Dr Tarahomi is currently offering plastic and cosmetic surgery services to candidates from across the world. 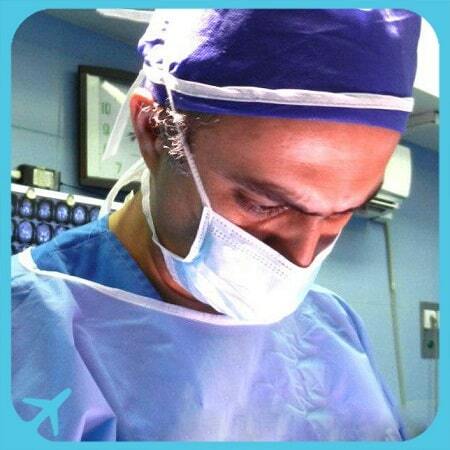 He also works as a university instructor, teaching specialized courses of plastic and cosmetic surgery.